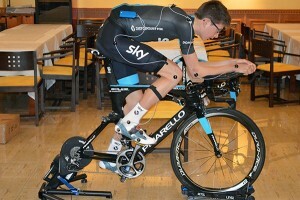 The benefits of a bike fit? Retül dynamic 3D v Conventional static bike fitting? Retül uses a 3D infra red motion capture system that allows assessment of a rider’s movements whilst they are pedaling on their bike. Unlike traditional bike fitting or 2D video analysis Retül records all three planes of movement. This data reflects how a rider actually rides a bike and cannot accurately be captured conventional methods. The experience and knowledge of the bike fitter is the key to taking advantage of the full capabilities of Retül tools and technology. Dynamic fits are more realistic. Retül records the rider’s positions in motion, therefore creating the most realistic picture of the rider’s actual pedal strokes and body positions when out on the road. Biomechanics are best assessed in 3-dimensional space. The traditional two-dimensional plane is limited because the fitter can only look at one view at a time. Retül uses an LED based 3D motion sensor to simultaneously gather data on multiple angles of the rider. This allows your bike fitter not only to see measurements such as knee and hip angles, but also lateral knee tracking and hip lateral travel. Measurement accuracy is vital. Traditional methods of measurement are subject to human error. Even slight inaccuracies can significantly and adversely impact the rider’s feel both during and after a ride. 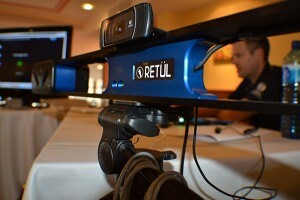 Using 3D motion capture technology the Retül system is accurate to within less than a millimeter. It is able to determine accurate data which can be utilized by the fitter for the perfect biomechanical fit.